When done correctly, bronzing warms up the complexion and gives skin a healthy glow. Unfortunately, obvious bronzer is something we see all too often. It's easy to recognize. It sometimes looks like a racing stripe with a clearly defined outer edge. At other times, it looks like the lower cheeks are being pulled down. Both of these application mistakes can be avoided by following a few simple rules. First, apply bronzer in small, circular motions on the top of the cheekbone. When applied too close to the eyes, it makes you look feverish. Don't drag the brush downward on the cheek either. That can make the lower face look muddy and unnatural. The following tutorial will get you off to a good start. 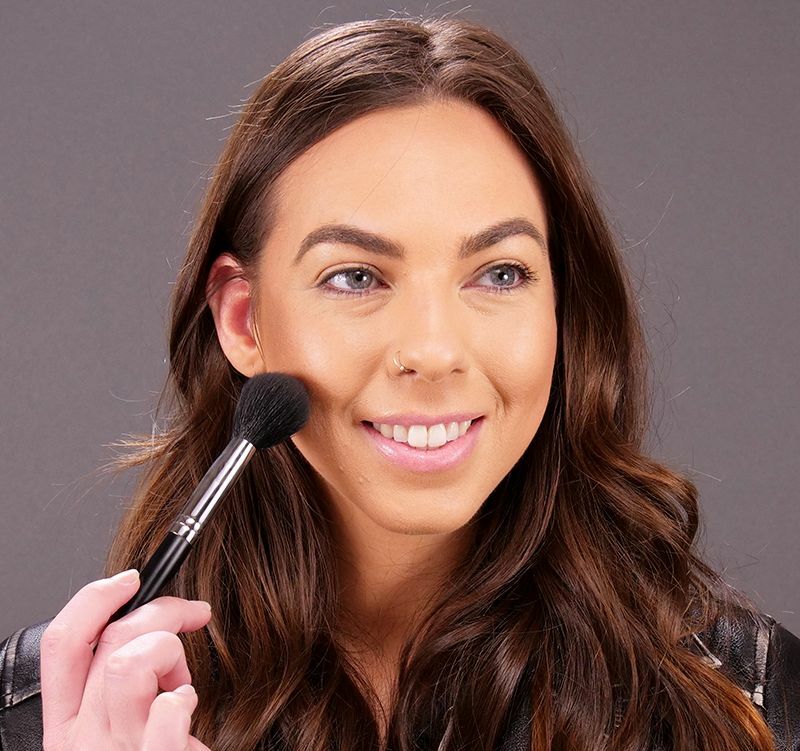 You'll learn how to use the brush and how to blend the bronzer into the hairline for a natural look. 1. Swirl the brush head in the bronzing powder, then tap the brush handle against the product lid to knock off the excess powder. Tip: This step minimizes the risk of applying too much product at one time. A light layer is easier to blend and control. 2. 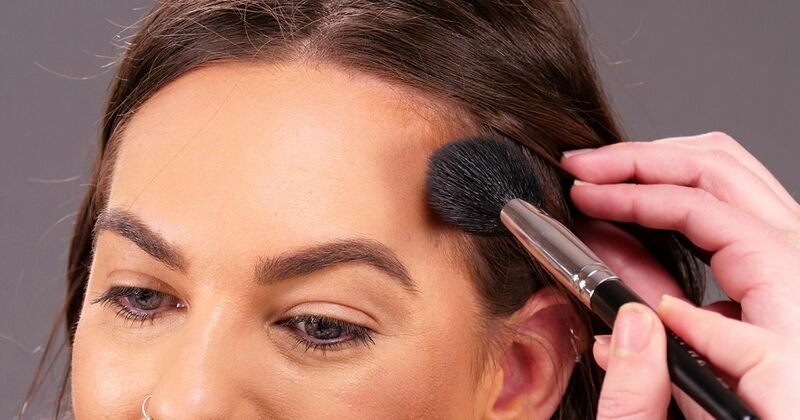 Softly swirl the brush against your cheekbone, then follow your hairline to apply bronzer to the temples and the outer corners of your forehead. Gently blend the product into your hairline. Once you've applied your bronzer, blend the edges one more time for good measure. Share these bronzing tips on Facebook.